It’s official! Civic Financial Services has been certified as a great workplace by the independent analysts at Great Place to Work®. Civic Financial Services earned this credential based on extensive ratings provided by its employees in anonymous surveys. CIVIC employees have been instrumental in providing truthful feedback that will help to run the company more strategically and to get recognized for its great culture. 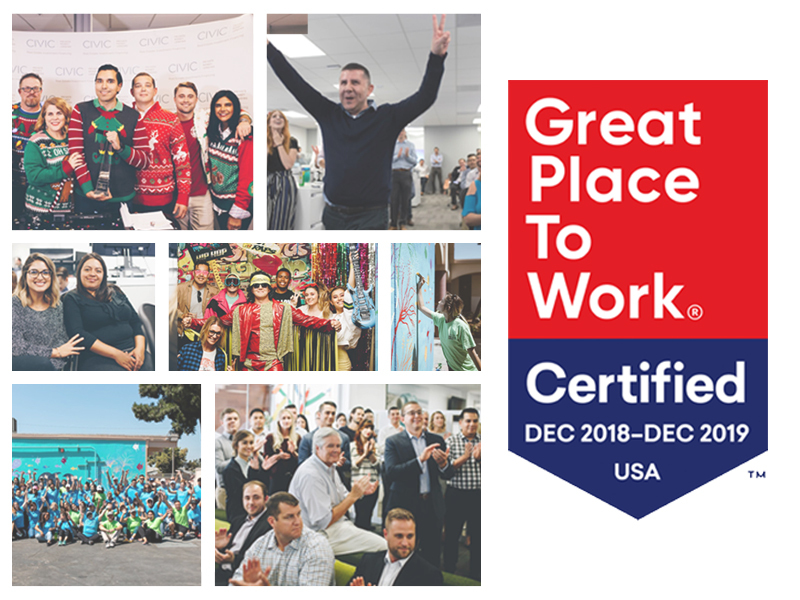 A summary of the ratings can be found here at CIVIC’s Great Place to Work® profile. Interested in joining the CIVIC team? We’re hiring! Visit our Careers page to see our available openings today!